1. Place the air compressor on its side. On flange mounted air compressors, remove the bottom cover plate. 2. Mark the connecting rods and connecting rod caps to ensure they are returned to the same connecting rod from which they are removed. 3. 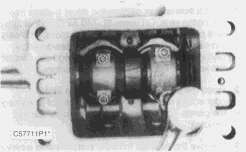 Turn the crankshaft so that one connecting rod is at the bottom of its stroke. 4. Remove the connecting rod nuts. 5. Remove the connecting rod caps. 6. Lift the piston and connecting rod through the top of the crankcase. 7. 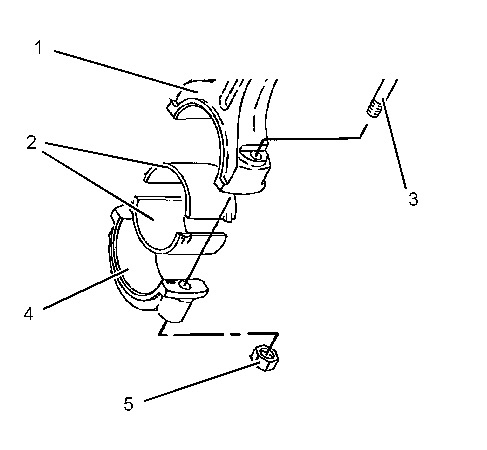 Repeat Steps 2 through 6 on the remaining connecting rod. 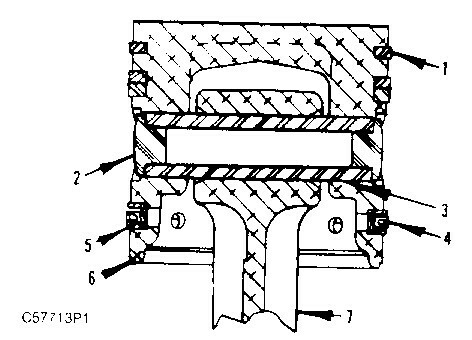 NOTE: Each connecting rod cap must be installed on the same connecting rod from which it was removed.